Ahhhhhhhhh, season one of Deep Space Nine. In it's day it was OK. It wasn't up to the standard perhaps that The Next Generation was showing as it ran through season six but it was still lightyears from where that show had kicked off in 1987. I even thought of walking away during those initial 20 episodes but stuck with it and was princely rewarded. When I rewatched the 1993 season recently though I found there was so much I hadn't appreciated until this full viewing or had missed when I saw it the first time. This made me think - what do I appreciate about the show's first year now that I didn't back then? What bits have I noticed with the benefit of two decades of hindsight? Was it really as bad as I imagined when I was in my teens? Apparently I've wizened up in my old age and there's a lot more than meets the eye. 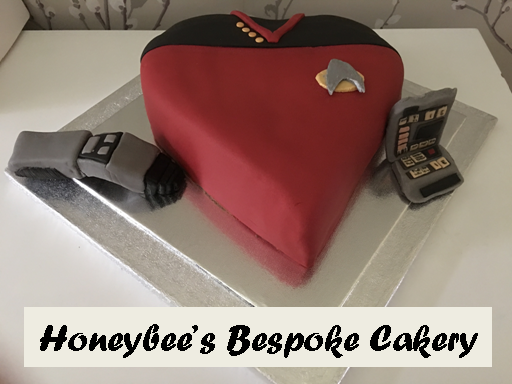 It might be misguided in places and muddled in others but on the whole it does show signs of making a different stand and being the odd child of the Star Trek universe. Who can blame them at this point? This guy can turn himself into almost anything he wants and he was previously employed by the Cardassians. What's not to be suspicious of?! For just two episodes however he's accompanied by James Lashly as Lieutenant George Primmin in The Passenger and Move Along Home. For me this character just doesn't work and he seems like a glorified extra. He was then never seen again or even mentioned and nor did we even hear that he was reassigned. Gone in a second. Almost two years later though, Eddington turned up to so the same job and we all remember how that ended. Odo was certainly the outsider from the start and having a Starfleet overseer, even for a brief time, only emphasised that more. Noticably there is an inconsistency as this concern comes and goes where necessary. Once Eddington was out of the way Starfleet seemed to be a lot happier with the Constable - even odder when by this time they knew his people were the Founders. 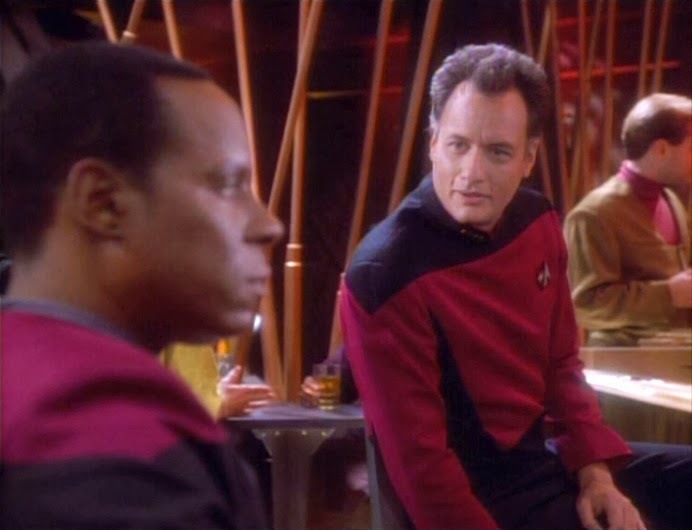 From memory there's conversations much later in the show around the trust that Sisko instills in his chief of security but here he's a mysterious unknown element - hey, it's made quite clear from Emissary that even his origins are a total blank. Clearly his story was going to be told but I would wager it had zero to do with the Dominion when they wrote the script. 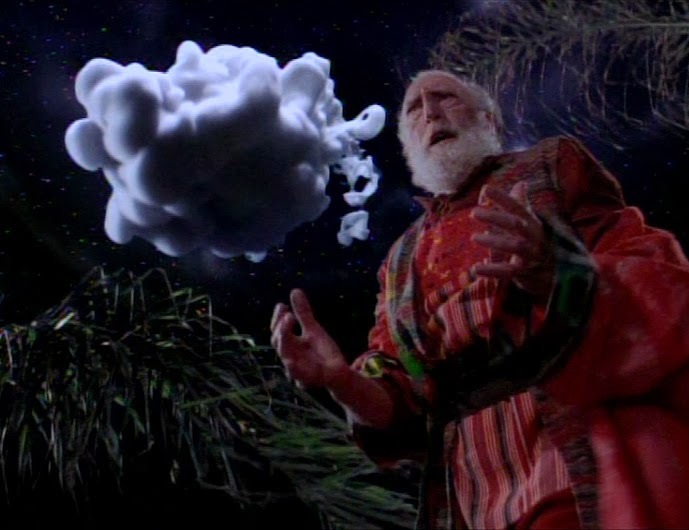 Considering how much airtime this would receive later and just how pivotal to the overall arc the Bajoran religion was it's odd that it only takes centre stage in three of the first season episodes; Emissary, The Storyteller, and In the Hands of the Prophets. In fact Vedeks Winn and Bareil only turn up in the season closer. That final story, perhaps unknowingly at the time, does kick off a lot of things including the election of a new religious leader since the Kai herself got killed off before half the year was out in Battle Lines. Now that was a shocker, but it does also indicate how much set up there was in the first year of the show. It wasn't until the dying 45 minutes of the year that the religious aspects of the series were highlighted and then the spark was really ignited as we moved into season two and the opening three-part story. 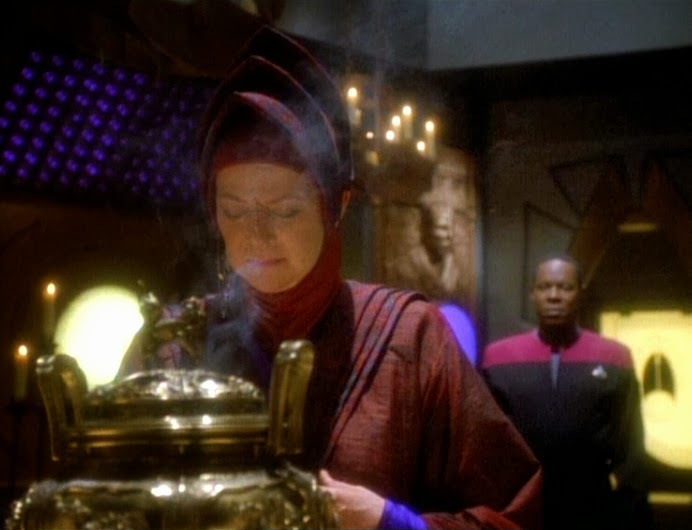 The pagh aspect of the Bajoran religion fades over time too. It's prominent in the bookend episodes of season one but beyond that there's not much in the way of reference to the act. From here on in the show focused more on the relationship of the Emissary to the Prophets than anything else. ...is nothing like the character he would become and only appears in one episode right at the start of the season (Past Prologue). Yes, there's the sneakiness and the fact that there is a lot more to this character than we are seeing. His motivations aren't clear and nor do we have any idea why he's on the station. 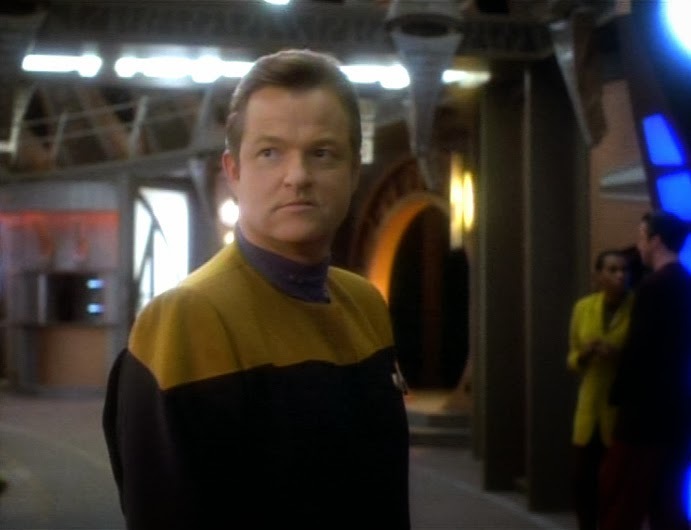 There are a lot of questions thrown up in conversations Bashir has during the episode but then we don;t see him again until season two and Cardassians. Oddly he isn't featured in Duet where his input would no doubt have been more than helpful. 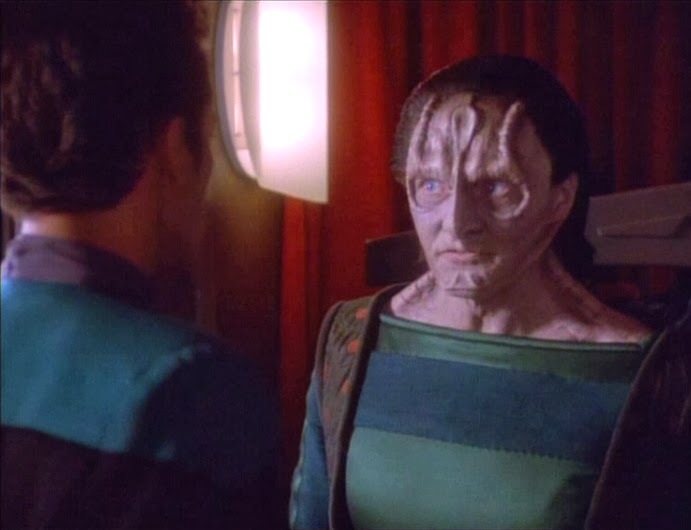 Gul Dukat, the former Prefect of Bajor turns up just twice in season one; Emissary and then in the genius that is Duet. 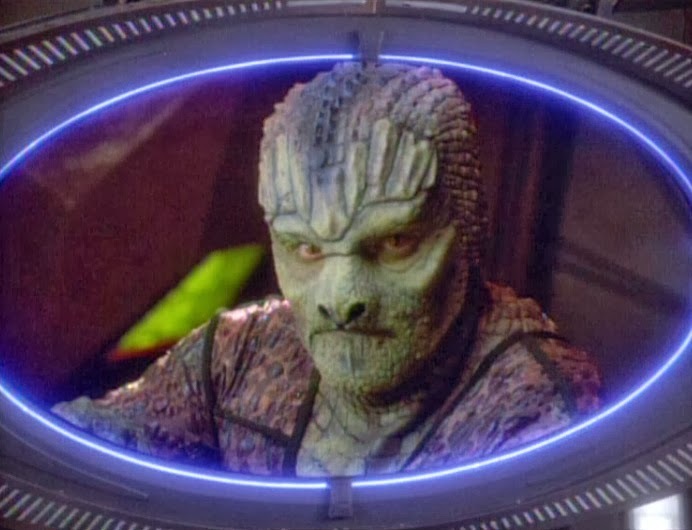 As with Garak earlier it's odd to think how integral Dukat would become to the overall story arc by What You Leave Behind and how many changes the character would go through. The relationship with Garak for example would itself only come out in the second season story Cardassians and only then in passing. Personality-wise Alaimo nails Dukat from the pilot and the way he carries the character changes very little. The swagger and arrogance start from the second those office doors open and he arrives back on the station. His appearance in Duet is subdued as it's merely on a screen giving information and doesn't add anything to the character. It could have easily been Anon Cardassian sitting there giving information rather than Dukat. As with a lot of these points it's only later in the run that you realise how much season one is an anomaly of sorts, missing the boat on so many key points. I'm also including Rom, Nog and Jake in here for a few reasons. In regards to Quark's brother and nephew, their characters went through a lot of development. In The Nagus Rom is just, if not more conniving than Quark - a characteristic that was erased fairly quickly and replaced by his more bumbling traits. Nog is fairly bland for the first season, keeping to Ferengi values and maturing in time. Jake is a character out of place for a good while and his inconsistent appearances seem to betray a notion that the writers didn't really know what to do with him he too would get a decent fleshing out in the future. The "brat" image they created him with never seemed to ring true if you ask me. It's only really seen when he and Nog are hanging out on the Promenade. Other than that Jake spends a lot of time in school or working out what a self-sealing stem bolt is. 4. Bashir is Annoying. Very. My god Siddig El Fadil (as was) created a great character here. From the off he's naive, arrogant and annoying in every respect. For the first time there was a character who made you just a little uncomfortable for most of the first year. Heck, O'Brien couldn't stand being around him until Armageddon Game and then it's only because he's been infected with Harvesters. 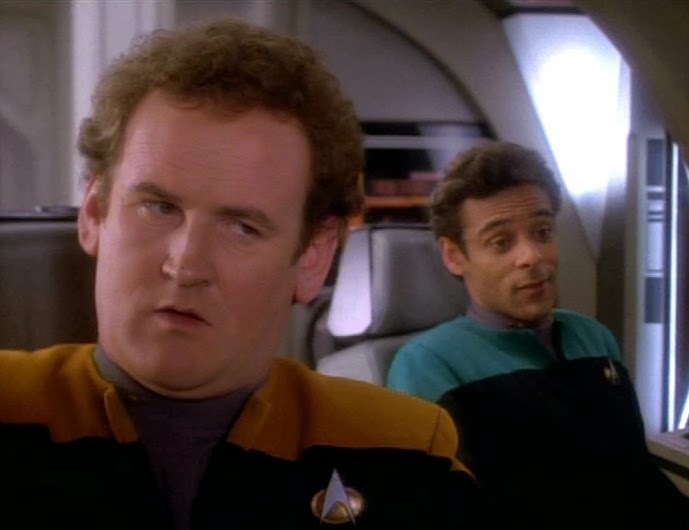 For most of the first season Bashir is throwing puppy-dog eyes in Dax's direction and stumbling around with not much of a clue with all the enthusiasm of an unleashed jack-in-the-box. He virtually falls into the station in want for a date with Dax in Emissary which comes to a head later in If Wishes Were Horses with the faux Jadzia. Maybe this shows just how good an actor Siddig actually was and he does get a lot to do, even having a body-possession incident (The Passenger). For one, I look back now and think that the doctor was the most developed character from the show's run. Here he's got that bucket of arrogance and brilliance that seems to come from youth and inexperience however hindsight turns this in a different light after Doctor Bashir, I Presume. 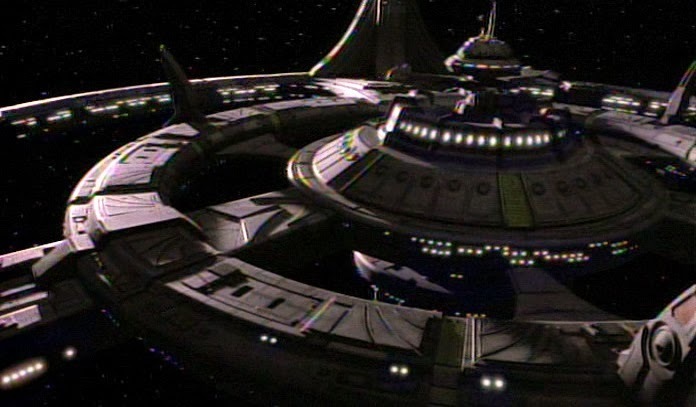 Deep Space Nine was created at the best of times and the worst of times. 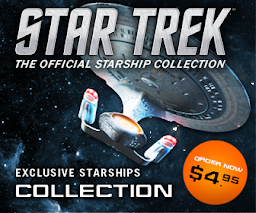 It was a different Star Trek, brave and unique but it came when The Next Generation was riding high in its sixth season. Deep Space Nine sort of hung off its tails a bit in 1993, bringing back not one, not two, but three recurring The Next Generation guests with the Duras sisters, Mrs Troi and Q.
I'm not a fan of Q Less and luckily it's the only time Q turns up on the station as with Lursa and B'Etor. Lwaxana came back again in season three but it's almost as if there's a fear of stepping away from the origins of The Next Generation. These installments, I personally felt, actually detracted from the facets of the story, station and its personnel. We didn't need to be reminded of The Next Generation and Deep Space Nine would easily stamp its mark on the Star Trek universe. 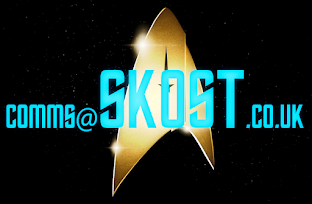 A couple of guests would drop by but on the series' terms and not their own (Klingons, Tom Riker...). From season two this would stop being the Enterprise in a fixed location and a story in its own right with its own alien races and issues to deal with rather than moping up Picard's problems. Probably one of the biggest makeup overhauls aside from Worf's transformation during The Next Generation would go to Odo who starts and ends the season looking very very different. He looks quite haggard and unfinished in Emissary but by In the Hands of the Prophets the change is very noticable. The hair is flatter, the nose and eye sockets more arched. You can see some of Auberjonois' face clearly though the latex in the Emissary makeup and even by the season end there's still some more improvements to be made. The more refined, smooth finish would come in season two and last until What You Leave Behind. One thing that is announced at the start and was clearly something the producers were looking forward to exploring was Odo's origin story. The mystery of Odo is present from about 45 minutes into the pilot and plays a part in his mini-arc through to The Search in season three. He's quite gruff here those edges would get some smoothing out - just like the makeup. That nose in Emissary makes him look a lot more sinister and serious than the more familiar one Shimerman would sport for the rest of the show. It really does make a difference to the nature of the character! 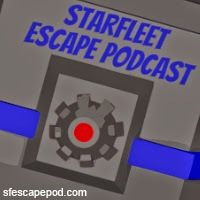 The Next Generation not only has to answer for recurring characters turning up on the station but also for the standalone stories that pervade the first year of the show. It's all about moving on to the next adventure which is, ironically, the one thing that the station physically can't do. People come to visit, the station deals with it, roll credits and wait for next week. This could have become very repetitive - alien comes through and panic ensues etc but fortunately the static nature of the station forced the hand of the show's producers. Could it actually be that this first season sets up the pieces that season two would then develop before season three brought it all to fruition? Do you remember how much focus there was on the school in season one? Neither did I until this rerun. It's mentioned almost every episode and then plays a pivotal role in the season finale when it gets bombed. The funny thing is that as time moves on the school, which was so prominent here and of such significance with the roles of Jake and Nog in particular, just vanishes. It gave Keiko something to do for the first couple of years but after that botany took over and things got back to normal. In retrospect the school was a great device to provide conflict between the Federation and the Bajorans over Mrs O'Brien's teachings. 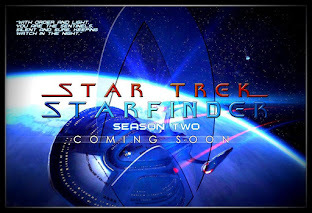 It also acts as (although we didn't know it at the time) a springboard which would eventually lead to Nog entering Starfleet - consider the fact that at one point in this season Jake is teachning him to read. 10. 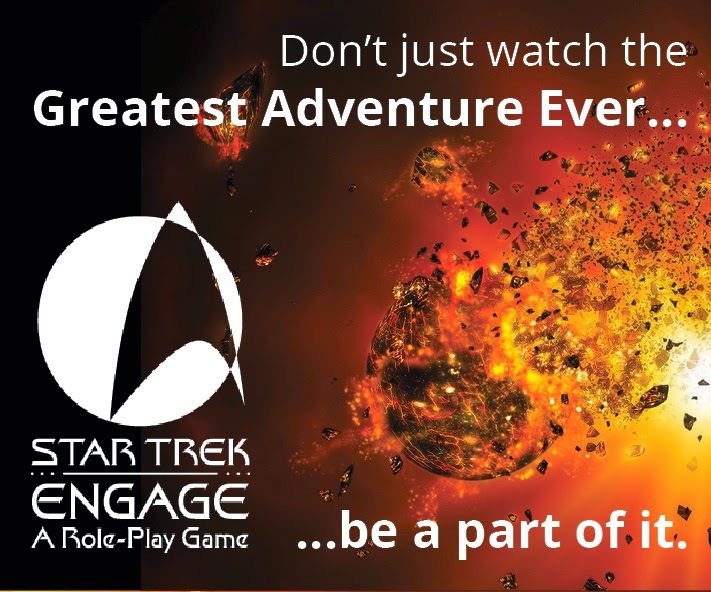 What was it before it was Deep Space Nine? Yep. We all know now that it was called Terok Nor and that it was a Cardassian mining platform. It's made clear from early on in the series what the station was used for and who was in charge. 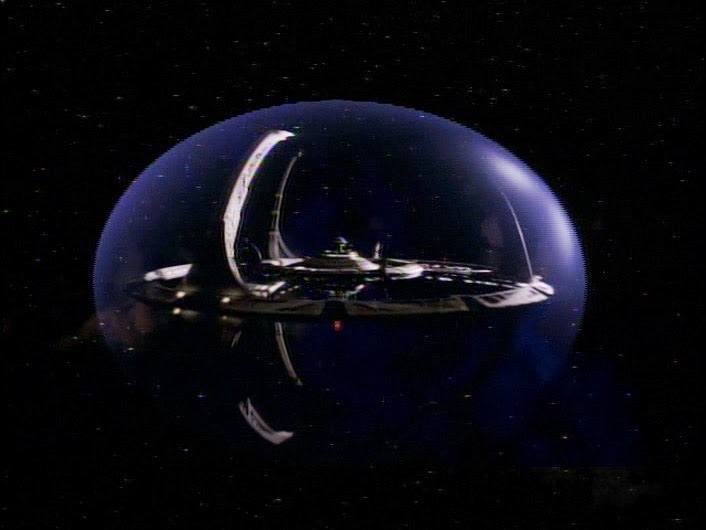 There's a lot made in Emissary about the former occupants laying waste to anything useful before their departure but at no point in season one do we find out what the place was called before it was Deep Space Nine. Alongside this it's actually interesting to note that we find out very little about the characters background beyond Sisko (mainly from Emissary and some visions) and Dax in Dax. Kira, to be fair, probably gets the most exposition however with background info popping up all over the place.